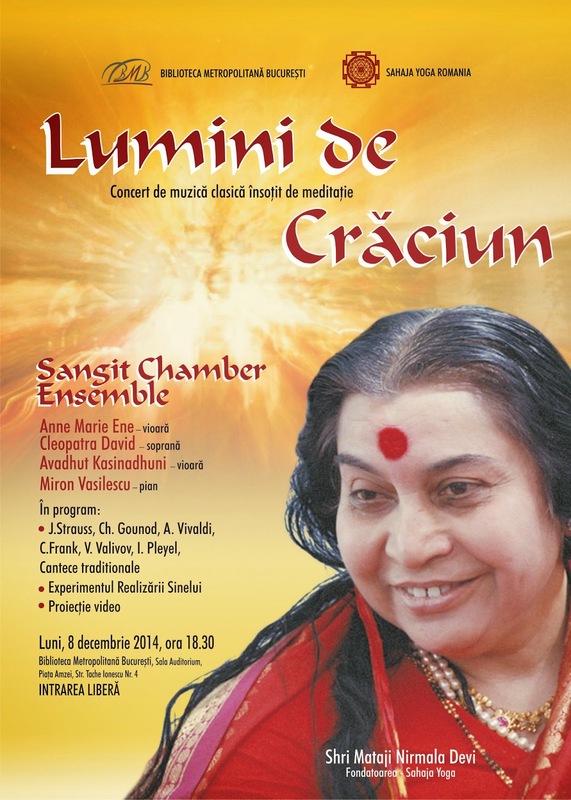 Monday, 8th of December, 06.30 p. m. at Metropolitan Library in Bucharest, a new Sahaja Yoga public programme will be held by Sangit Chamber Ensemble. Projection of Shri Mataji's public program and Self Realization experiment will be surrounded by the performance of these four musicians. From Romanian Christmas carols to Vivaldi's "Winter" and Vienna waltzer, all together with the vibrations and the enthusiasm of the members will invite the seekers of truth and light into the new and real spiritual world.